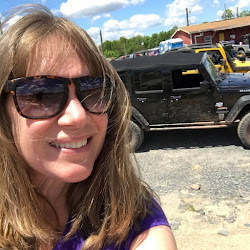 Last Fall I was approached by a company, Performance Stability, Now called Steer Smarts who asked if I would to test out a new product -- a steering attenuator -- they had designed for the Jeep Wrangler. 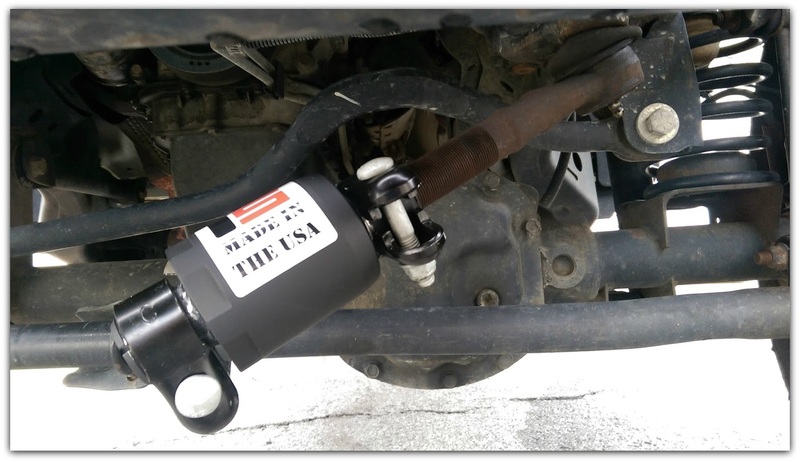 I was a little hesitant to try it out myself on my Jeep, because I lacked the Jeep driving experience at the time, and the skill set (and tools) needed to install this steering attenuator. 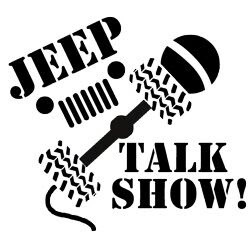 So I asked a fellow Jeep friend, who had the skill set to install the product, and the Jeep driving experience to give an honest opinion on the product. It was a good thing I sent the part to a friend, because about a month after I received the part, I traded in my Sahara for a 2015 Rubicon. 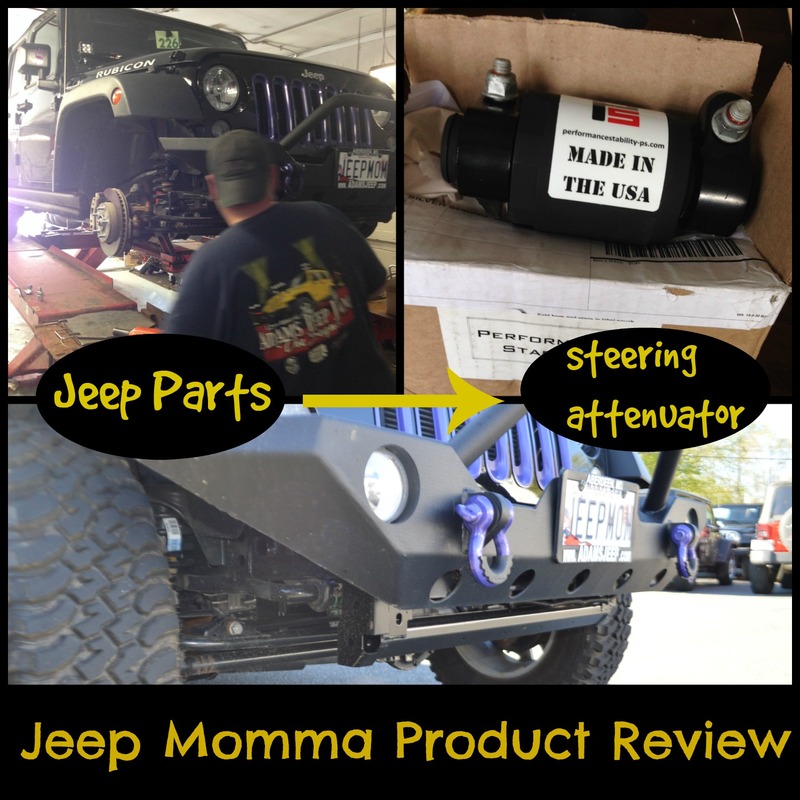 Well, after reading all the positive reviews on the JKOwners Forum (click here to read) and the Wrangler Forum (click here to read), and paying more attention while I was out driving on the roadways, I wanted to try out the steering attenuator for myself. 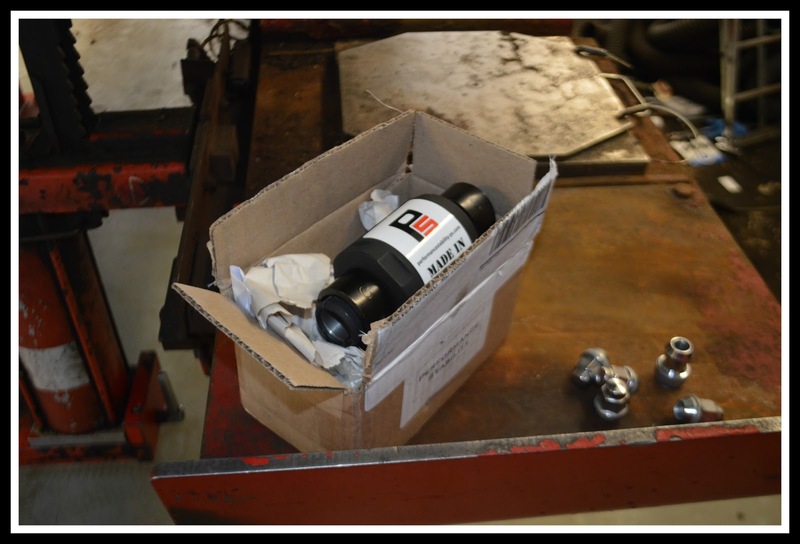 The folks at Performance Stability agreed to send out the part, if I agreed to install it on my Jeep. The Jeep Mom in me really wanted to get under my Jeep and install the attenuator myself. I'm pretty confidant I could have installed it myself, but the sensible mom of two boys overruled the Jeep Mom wanting to do-it-herself. I have to always -- first and foremost -- consider the safety and well-being of my children. Even though I am confident I could have done the install myself. 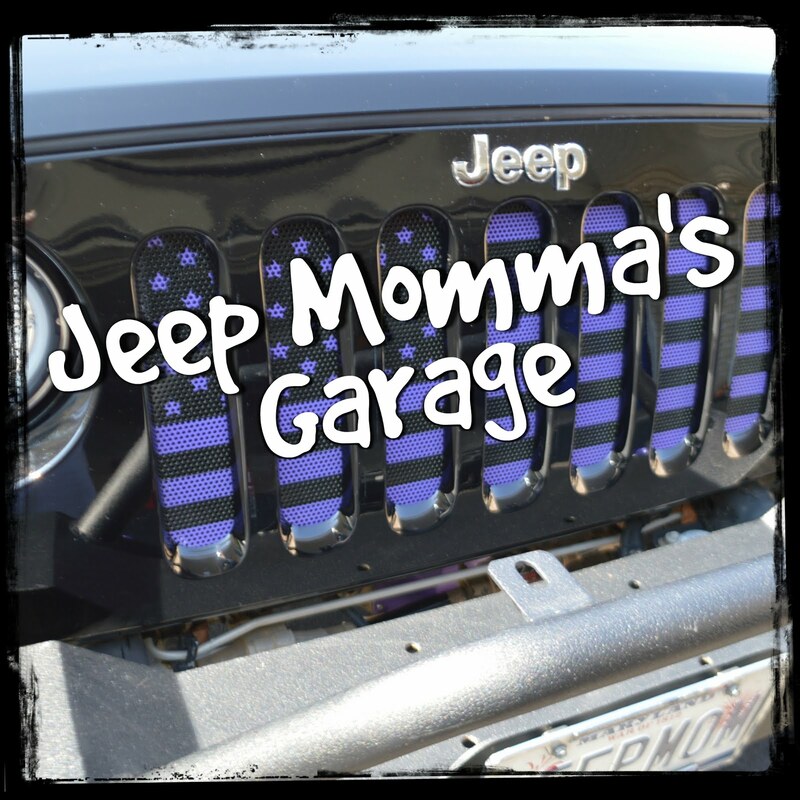 I don't ever want to take the chance of a mess up with such a crucial system in my Jeep especially since it is my daily driver and soon my son will be driving it as well. Oh Boy! Yikes... well that's a whole other post. 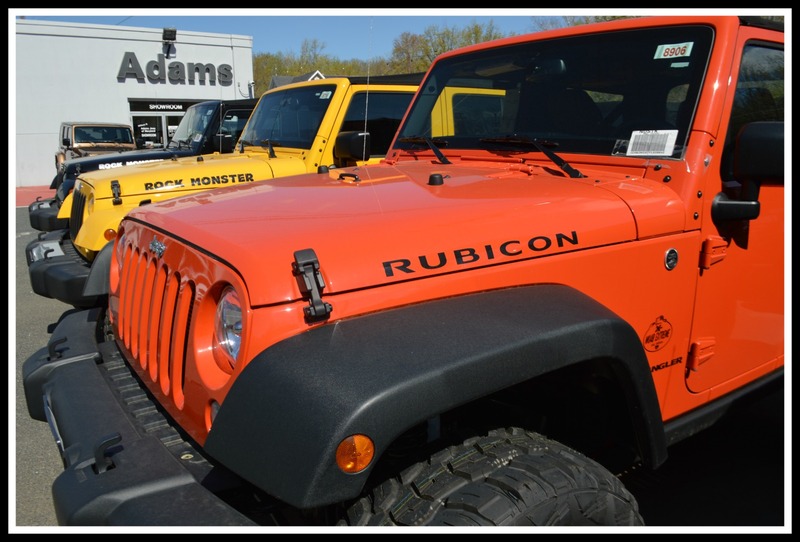 So I took a chance, and called up the folks at Adams Jeep of Maryland in Aberdeen. Like most dealers, they have a service shop, but this shop isn't just your typical dealer service shop. 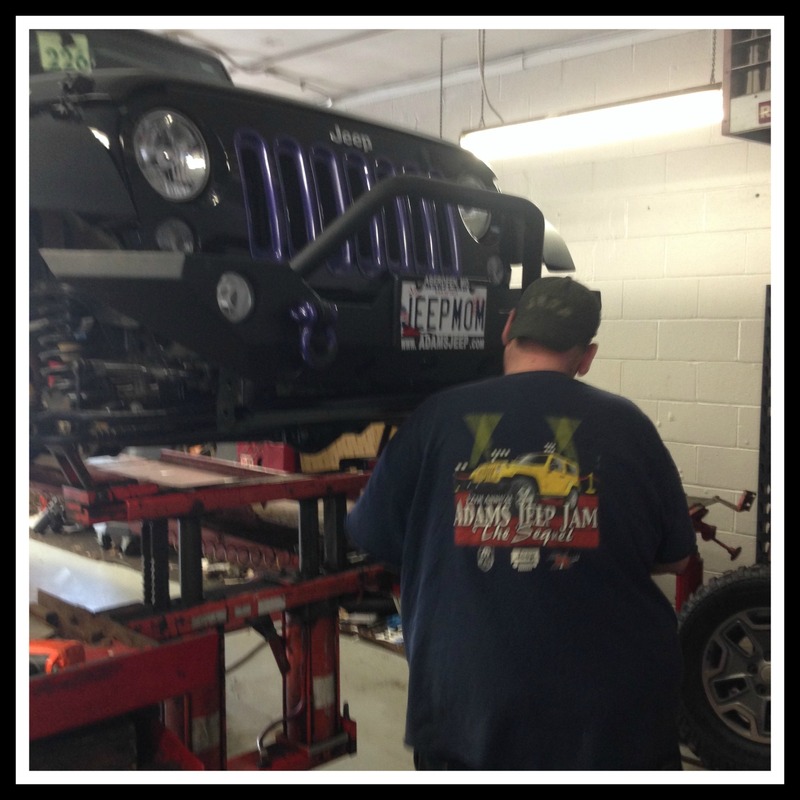 Adams Extreme Motorsports specializes in Jeep modifications. You should check out their lot. I drool every time I go there and see all the cool different lifted and modified Jeeps. But I digress... back to the steering attenuator. The great, friendly folks at Adams Extreme Motorsports agreed to install my attenuator. It was their first one and they were curious as well. 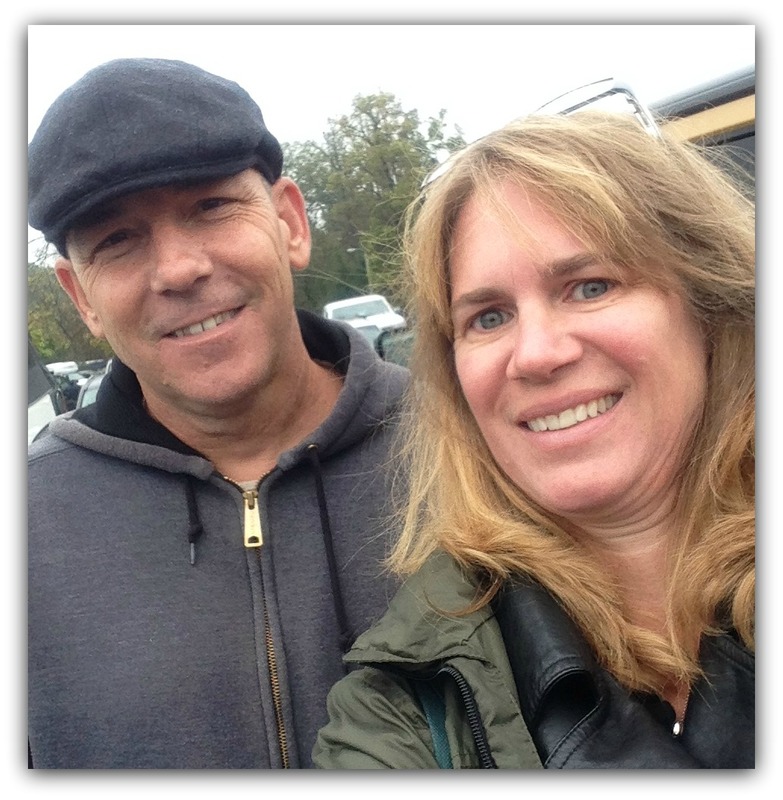 So Tuesday morning I headed out early for the drive North on I-95 to Adams Jeep of Maryland. It was a quick and easy install, and I was headed back down the interstate before noon. Tomorrow, I will share with you the benefits the company claims about this product, and my thoughts and experience of the steering attenuator after two days of driving with it on my Stock JKU Rubicon.